My son was diagnosed with learning disabilities in 5th grade, and re-tested in tenth grade. He is now in his fourth year in college and failed Spanish, which led to Academic Probation. After we disclosed his learning disability in the appeal, he was denied his financial aid unless he uses access services for disabilities. The access services refuse to help him unless he has a recent diagnosis at an adult level, which our insurance won’t cover. Any advice would be greatly appreciated, we are desperate. He is so close to completing his degree on his own, but we can;t afford for him to finish without financial aid. I feel like he is being discriminated against now that he has disclosed his IEP and disabilities. By law, the school’s access services must have a copy of your son’s current disability documentation. Most colleges and universities require the documentation to be no more than 3 years old. Professionals who are qualified to diagnose learning disabilities include clinical psychologists, school psychologists, neurologists, neuropsychologists, neuropsychiatrists, psychiatrist (with psychological testing from a licensed psychologist), and some education specialists (using psychological testing from a licensed psychologist). If you have a community mental health center nearby, they sometimes do LD evaluations on a sliding scale, which can cut your cost dramatically. Likewise, some colleges with graduate psychology departments may also provide LD evaluations on a sliding scale. Your son may be able to get an evaluation at your local Rehabilitation Services Agency (http://rsa.ed.gov/people.cfm), click on “State Agencies/Contacts”). In some states, they sometimes provide evaluations as part of their intake process. There is also information about Vocational Rehabilitation Services at https://ldaamerica.org/rehabilitation-services-administration-rsa/ One more idea: contact a local civic organization like Rotary or Lion’s Club and ask if they have a member who would be willing to do the assessment pro bono. It never hurts to ask. Hello I was doing well in my studies from elementary to high school. I do not have a study habit but i did well in school. In high school i was put in the category of most likely to succeed in college. But when I reached college i had a melt down. I hop from school to school and then later hop from job to job. I graduated from psychology and law school but i was underachieving. Right now I am teaching in high school and lasted 5 years in the job but underperforming and studying masters is almost mandatory. I am doing fine in with my grades ranging from 1.1-1.5. so i guess it is okay. I did not pass the bar exam it means i need to study law all over again. But i cannot sit down and do the job. It seems heavy to me when I will sit down and study. I am preparing to take my second bar exam this year. Now I am thinking despite my interest in the subjects I cannot do it unless I am cramming. Is it right to conclude that I have a learning disability? I have not been successful in getting to a professional in my area who can provide me with an assement or a diagnosis. Everywhere that I go I either hit a dead end or get referred to somewhere else. I feel like I need to give up on trying to get the help I need. If I cannot get an official diagnosis in time, then there is no point in my trying to enter college this summer. Professionals who are qualified to diagnose learning disabilities include clinical psychologists, school psychologists, neurologists, neuropsychologists, neuropsychiatrists, psychiatrist (with psychological testing from a licensed psychologist), and some education specialists (using psychological testing from a licensed psychologist). If you have a community mental health center nearby, they sometimes do LD evaluations on a sliding scale, which can cut your cost dramatically. Likewise, some colleges with graduate psychology departments may also provide LD evaluations on a sliding scale. If you are unemployed or looking for a better job, you should contact your local Rehabilitation Services Agency (http://rsa.ed.gov/people.cfm), click on “State Agencies/Contacts”). In some states, they sometimes provide evaluations as part of their intake process. There is also information about Vocational Rehabilitation Services at https://ldaamerica.org/rehabilitation-services-administration-rsa/ You may also want to ask the Disability Support Services office at the school you plan to attend if they can refer you to someone in your area who can provide the assessment. I have struggled since I was a child. Teachers always went to fast for me to understand. I became embarrassed of the situation and started skipping school. That just made me further and further behind. I believe I ca. Learn things but I need it one on one with no time limit. Does this mean I have learning disabilities. I struggle every day with no hope of anythingv ever changing. If I do have a disability how can they change it with medications or something? Learning disabilities can not be treated with medication; however, if you are diagnosed with a learning disability, you have the legal right to request accommodations in school or on the job in order to have a fair chance of success in those areas. 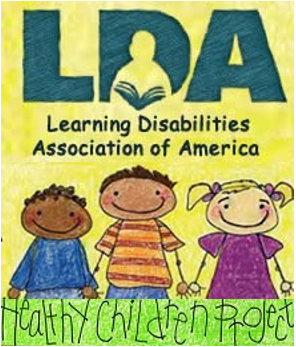 The basics of learning disabilities are discussed at https://ldaamerica.org/adults-with-learning-disabilities-an-overview/ If you want to find out whether or not you do have a learning disability, you might consider doing that (see information at https://ldaamerica.org/adult-learning-disability-assessment-process/). The process of evaluation will identify your strengths and your challenges, and the diagnostician can help you understand how to use your strengths and how to accommodate your challenges. That knowledge can be empowering. The more you know about yourself and whether or not you have a learning disability, the more confidence you’ll have, and more success as well. If you find that you do have a learning disability, and you need help finding the right job, contact your local Vocational Rehabilitation office. Find information about that agency at https://ldaamerica.org/rehabilitation-services-administration-rsa/. They help people with disabilities find jobs that match their strengths, and provide counseling to help you better understand your disability and how it affects your life. They may be able to help you get started in a job that involves working with wood or even clay. Also, consider using assistive technology to help you with everyday tasks, organization, etc. 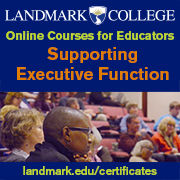 There’s information about that at https://ldaamerica.org/assistive-technology-discover-the-solutions-to-help-you-succeed/ and at http://www.gatfl.org/. There’s also a great app-finder to help you find free/cheap apps that can help a lot at http://www.gatfl.org/favorite-search.php. I hadn’t thought about this in years. I’m 42 years old and recently took on a new job at a scrap yard. Part of my job is adding together Gross weight x tare weight to get net weight. I was messing up my calculations and my boss was wondering why I was getting simple math so wrong? In elementary school I was in Special Education for Math and Speech. This was in the 80’s so I was put into a room with kids that had REAL cognitive disorders ie. mentally handicap. I was told I was “slow” at math. I didn’t like math because I couldn’t understand it. But with English and reading I excelled. As I transitioned into High School I was in “lower learning” classes this time strictly for math. In the four years I went to high school I took the same math course over and over again. I tried to get moved into Algebra but when I walked into the room I didn’t understand any of it, so was forced to return. Eventually I went to college and got a BS degree in English Lit, one, because I was good at it, and two, less math classes. The math classes I did take were “group math” and some classes where you got a grade if you describe your thinking process in getting the answer. After graduation I got a job at Best Buy, which led to a job in aerospace, which several years later led to the scrap job I now have. In all those jobs I avoided the ones that used heavy math. I focused on my personable skills, writing, cognitive thinking, problem solving and what not. But now with job I am forced to use my “poor” math skills. I will figure out a way to deal with this as I always have. But it made me reflect on my time in Special Ed and the fact that I guess I have a learning disability? It was never told outright that I had one and in some ways figured I left it behind somewhere. I was always kind of embarrassed by being in special ed and lower math classes, and by this thinking don’t want my employers to know. Mainly because it will spread throughout the office and I don’t want to be treated any different. I really thought I grew out of this? I guess the effected never do? It sounds like you were diagnosed with a learning disability in the area of math when you were in school; otherwise, you would not have been placed in “special” classes. That documentation is only good for 5 years, though. If you want to formally request job accommodations, you’ll need a new evaluation. There’s information about getting your learning disability diagnosed at https://ldaamerica.org/adult-learning-disability-assessment-process/ You may also be able to use technology to accommodate your struggles in math. Try contacting the Job Accommodation Network (JAN) at http://askjan.org/ JAN’s services include a toll-free number (800-526-7234) which you can call to speak with an accommodations expert about your situation. Another option is to schedule a meeting with your local Vocational Rehabilitation office. Find information about that agency at https://ldaamerica.org/rehabilitation-services-administration-rsa/. They help people with disabilities find jobs that match their strengths, and provide counseling to help you better understand your disability and how it affects your life. I think I have problems with auditory learning. I only understand about 20% of the instructions in science labs and I heavily rely on my lab partners to get through them. I have to have things written down or see visual examples for me to make any sense of what people are saying when they are giving directions or explaining math. I even get confused when a character in a movie is given a lot of directions on what to do. I have to record my classes and transcribe them to fully understand what was being said. I also have a mood disorder, could I just go to my psychiatrist to be set up to be evaluated? I would want to give proof showing that I need instructions written down for me beforehand. Because Iâ€™m tired of heavily relying on lab partners. Yes, your psychiatrist should be able to complete an LD evaluation for you. Once the evaluation is done, set up a meeting with your school’s Disability Support Services office to review the documentation and determine what accommodations you may be able to request in your classes. Requesting written instructions seems like a reasonable request, and it’s great that you already know so much about the supports that would enable you to succeed more independently. 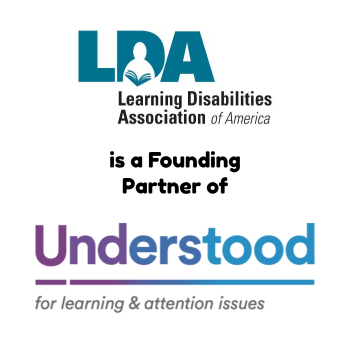 For more information about the assessment, go to https://ldaamerica.org/adult-learning-disability-assessment-process/ Then check out the articles about postsecondary education at https://ldaamerica.org/category/post-secondary-options/. I am trying to find out if there is funding to help an adult learner pay for the testing required to determine if I have a learning disability. Is there a list of places that will fund adults who are not eligible for TANF benefits? No, unfortunately, there are not a lot of resources out there to provide free assessments. Some insurance policies will cover the cost of the assessment. Local mental health clinics and university psychology departments sometimes offer a sliding scale fee for the assessment. Vocational Rehabilitation agencies sometimes provide LD assessments at no cost as part of their intake process for agency applicants who are accepted as new clients. All of those are worth checking into. How would one go about finding out who offers LD assessments in my area (specifically the idea of university psychology departments or finding local mental health clinics that do that sort of test)? Typically, universities that have a graduate program in School/Educational Psychology will provide testing at a sliding scale or discounted rate. I also suggest checking with your local Vocational Rehabilitation office. Find information about that agency at https://ldaamerica.org/rehabilitation-services-administration-rsa/. Dyslexia, or a reading disorder, is not the only type of learning disability. Learning disabilities can also affect a person’s ability to do math. To determine if you have a learning disability in the area of math, you’ll have to complete an LD assessment. There’s information about doing that at https://ldaamerica.org/adult-learning-disability-assessment-process/ There are no specified tests in the Diagnostic and Statistical Manual of Mental Disorders (DSM-5), the latest publication used to diagnose disorders. Rather, there is a list of diagnostic criteria that includes symptoms that have persisted for at least six (6) months, despite the provision of interventions that target difficulties with learning, including difficulty learning math. That said, when a psychologist or psychiatrist completes a learning disability evaluation for someone who is having difficulty in the area of math, the evaluator will use a variety of tests to determine difficulties mastering all areas of math, including number sense, memorization of arithmetic facts, accurate or fluent math calculation and ability to reason with numbers. There are a number of standardized achievement tests that may be used as part of a math disorder diagnosis, but it is the diagnostician’s choice to determine which tests they choose to use during the evaluation. The diagnostician will also examine the person’s history of learning in all areas, not just in the area of math. Schedule an appointment with your school’s Disability Support Services office to learn more about what accommodations you may be eligible to receive if you have the documentation to support a learning disability in math. Call your insurance company to see if they will pay for an LD evaluation. If not, contact your local mental health clinic and see if they can do evaluations on a sliding scale. Another option is to see if a nearby university’s psychology department will do the evaluation for free or on a sliding scale. They don’t all do that, but some do, and it’s worth checking out.